While Nikonov’s tone suggests that the remarks were made in jest for the purpose of arguing the point that American power in the world was declining, his jab at US intelligence services comes amid several ongoing investigations into Russia’s involvement in the 2016 election, including a probe into alleged collusion with members of the Trump campaign. The US government publicly announced in October that it was “confident” Russia orchestrated the hacking of the Democratic National Committee in the lead-up to the election. And in January, days before President Donald Trump took office, the US intelligence community concluded that Russian President Vladimir Putin had ordered an “influence campaign” aimed at hurting Trump’s rival, Democratic Party candidate Hillary Clinton. Trump has branded the investigation the “single greatest witch hunt” in political history and consistently questioned the intelligence community’s findings well into his presidency. Russia has repeatedly denied involvement in any attempts to influence last year’s US Presidential election. At a June economic forum in St. Petersburg, Putin compared accusations of Russian meddling in the US election to anti-Semitism and labeled the reports of then-Russian Ambassador Sergey Kislyak’s meetings with Trump associates as “hysteria,” saying the envoy was simply doing what he’s paid to do. In March, CNN reported that Kislyak is considered by US intelligence to be one of Russia’s top spies and spy-recruiters in Washington, citing senior US government officials. Russia’s Foreign Ministry strongly rejected the allegations. 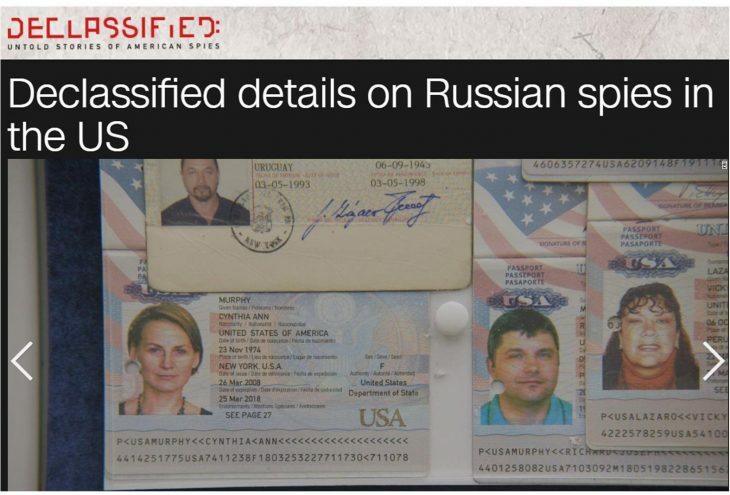 CNN’s Mary Ilyushina contributed to this report.